Gal Gadot in Fast and Furious, Hedy Lamarr in Let’s Live A Little. 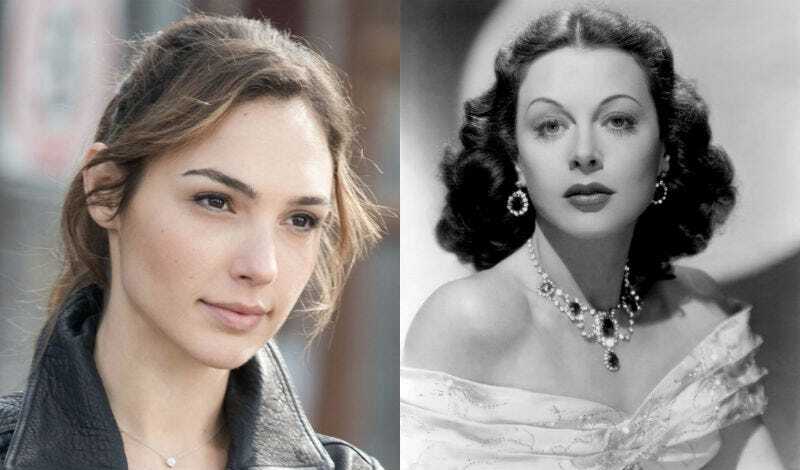 If ever there was a real life wonder woman, it was actress and inventor Hedy Lamarr, which is probably one of many reasons Gal Gadot wants to play her in a new TV show. Deadline reports that Gadot, best known for her role as the DC character Wonder Woman, is close to a deal to star and executive produce a limited series for Showtime about the cultural legend. Sarah Treem, creator of The Affair, is in talks to write the show. Though Lamarr is probably best known for her three decades of work in Hollywood, on films such as Samson and Delilah, Ziegfeld Girl, and Come Live With Me, it was her work beyond the silver screen that was the most important. Alongside film composer George Antheil, Lamarr helped create a radio guidance system for torpedoes, ideas of which are now used in wifi and GPS. It’s quite the real-life story, and one that Gadot has reportedly wanted to tell for awhile. So when Treem came up with an idea that Gadot liked, they decided to move ahead. There’s no word on any potential dates attached to the show, only that it’s in the works.